Actually two jackets, reminiscent of both the ‘50s and ‘60s key looks. The Stonebridge Racer Jacket, a classic cafe racer style, popular through the ‘50s with British ton-up boys. It takes its name from the home of the Ace Cafe, Stonebridge and those iconic bridges which are also a part of the areas mystique. It’s a design that evolved from the ‘30s Board Racer leather shirts. Clean cut, modern, and as relevant today. 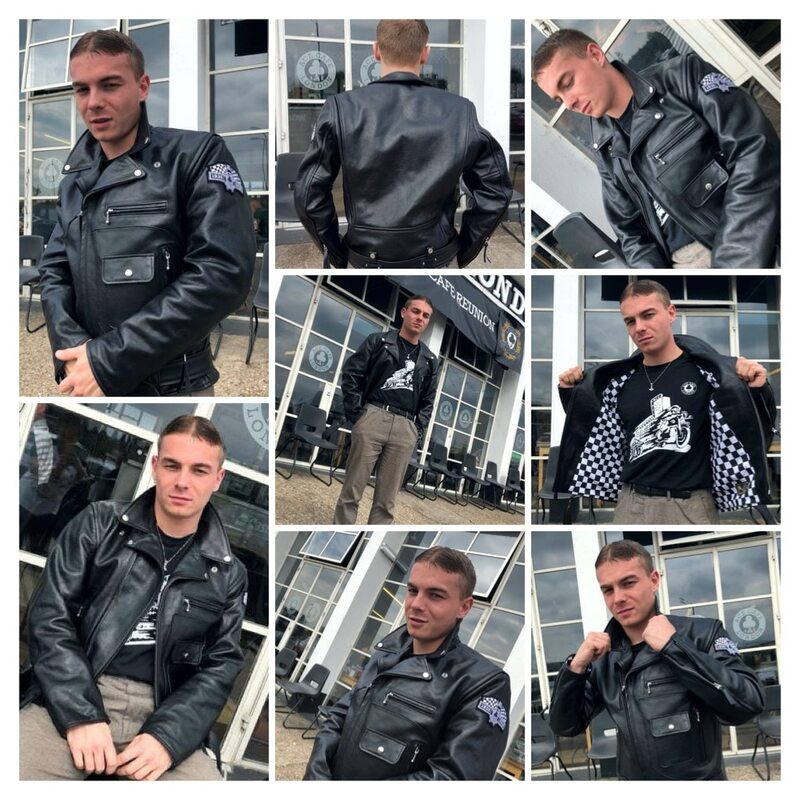 The second jacket is the NCR Rocker Jacket, another classic style. A design that evolved from the late ‘40s and takes its detailing from the US asymmetric zipped design. Adopted by British youth to ride bikes, and then strut the stages in. Named after the North Circular Road (NCR) on which the Ace Cafe sits, it captures the spirit and soundtrack of speed. We selected Aero Leather Clothing to work with us as one of the few, renowned British producers of functional leather clothing. Making the first Aero jacket in 1981, we are proud to partner with their expertise and passion.